Is there such a bug as the Venezuelan Poodle Moth? Needle felted model of the ever popular Venezuelan poodle moth. The moth was first discovered and photographed in 2009 and is believed to be a new species. It’s thought to belong to the lepidopteran genus Artace. 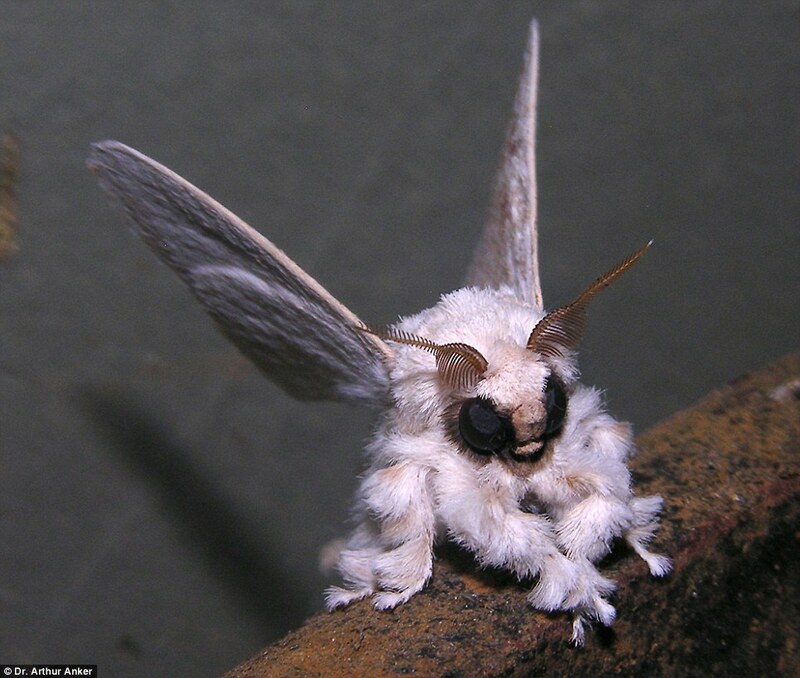 A Venezuelan poodle moth is mystifying researchers, baffling the internet, and confusing everyone at a first casual glance. The insect, seemingly a blend of a large moth and a bright, fluffy white poodle, was discovered in 2009 and may be a new species. park didn’t gain much fame at the time, however, until last week, when someone noticed and posted the picture online. Another researcher, Dr. Karl Shuker, took an interest in the fuzzy white creature with bulging black eyes and strange brown antennae. He used his background in zoology, cryptozoology, and science writing to showcase the animal on his blog among other amazing finds. “These photographs formed just one set of numerous spectacular images that Art has taken while visiting tropical rainforests and other exotic locations worldwide, and which he has placed in photosets on the Flickr website,” he wrote on his blog ShukerNature. The Christian Post. 29 August 2012.